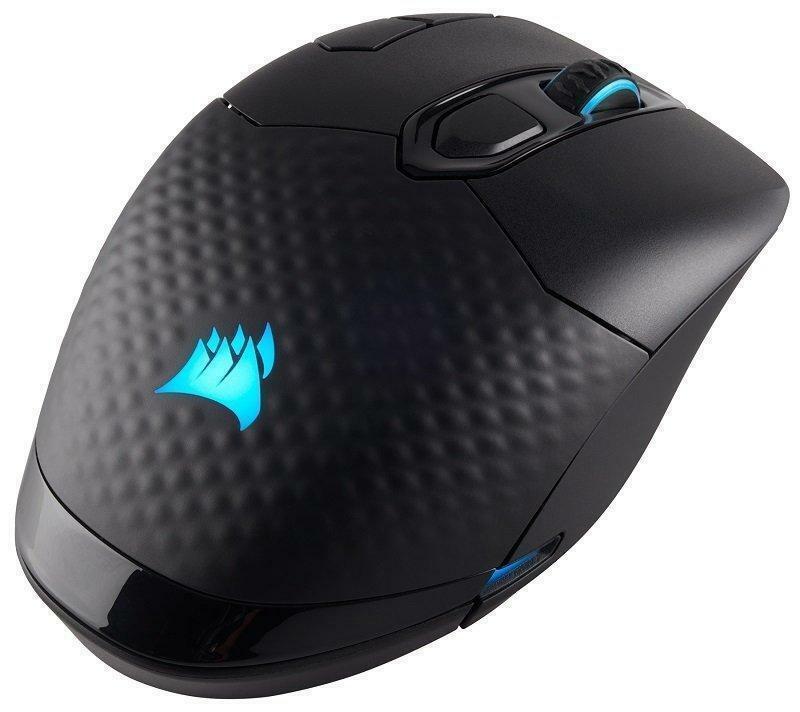 Untethered Performance with Ultra-fast 1ms Wireless, Bluetooth & Wired Connectivity DARK CORE RGB features ultra-fast 1ms wireless, Bluetooth® compatibility and wired mode for performance gaming with versatile connectivity. 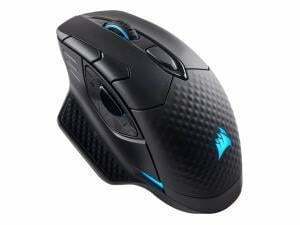 The high-accuracy, 16000 DPI optical sensor, customizable in 1 DPI steps, can be tuned to virtually any mouse pad. The comfort-contoured shape and 2 interchangeable side grips ensures precision and control. On-board profile storage, programmable through CUE software, saves RGB lighting effects, macros and DPI settings for easy access to your settings. 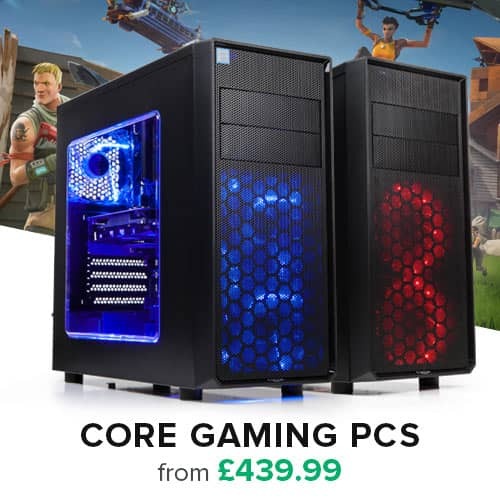 Up to 24 hours of battery life and continuous use through USB charging while gaming. The durable Omron switches are rated for 50 million clicks to provide ultra-fast response and reliability over time. • Ultra-Fast 1ms Wireless: Ultra-low latency 1ms 2.4GHz wireless optimized to deliver wired calibre responsiveness for the best gaming performance. • Low Latency Bluetooth® Wireless Technology: Connect to Windows®, OS X, and other Bluetooth 4.0 or higher enabled devices. 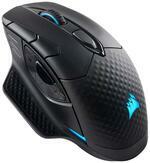 • Custom, Gaming Grade 16000 DPI Optical Sensor: Ultra-accurate, high-speed tracking engine. 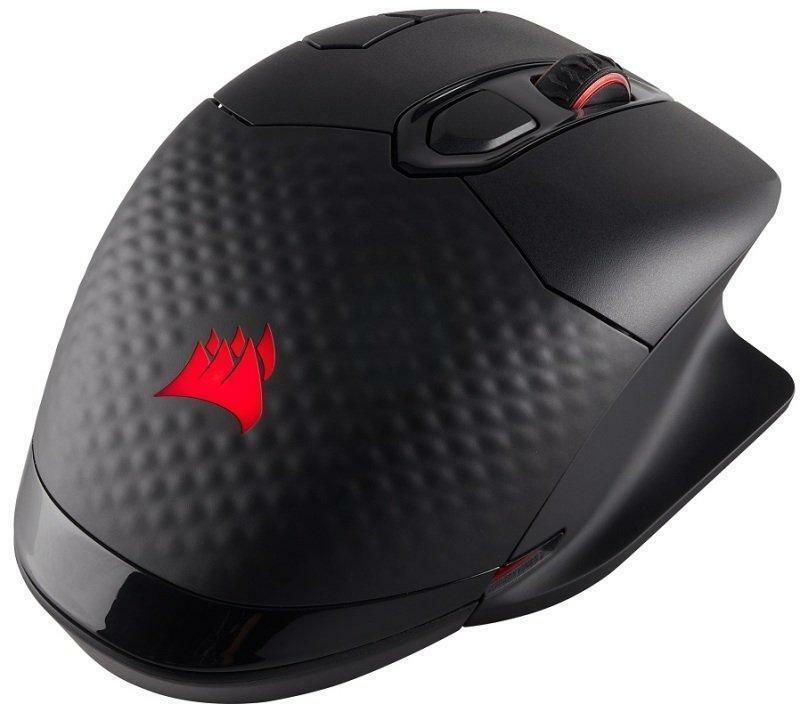 Native 16000 DPI resolution, customizable in 1 DPI steps, can be custom tuned to virtually any type of mouse pad. • Contoured Shape with Interchangeable Side Grip: Choose between 2 different side grips to fit your grip and play style. • On-Board Profile Storage: Saves lighting effects, macros and DPI settings for universal access to your profile without the need for drivers or additional software. • All-New, High-Performance Omron Switches Rated for 50 Million Clicks: Custom tuned for gaming, providing an ultrafast response and reliability over time. • Dynamic Multicolour 3-Zone Backlighting: Customizable backlighting immerses you in the game by providing nearly unlimited lighting adjustability. • 7 Fully Programmable Buttons with Optimized Sniper Button Positioning: Take control with extensive customization, anything from simple remaps to complex macros. • Fully Programmable with CUE: Assign macros to any key and create dynamic lighting effects with Corsair Utility Engine (CUE).